The line-up for PC Connects Seattle 2019 continues to grow with reps from Valve and SuperData sharing their insight on-stage. Tom Giardino and Alden Kroll from the Steam giant are our first Superstar Session at PC Connects' North America debut discussing wishlists. Meanwhile, Carter Rogers from Neilson-owned research firm SuperData is doing to be looking at the future of the PC games market as part of The PC Revolution track. 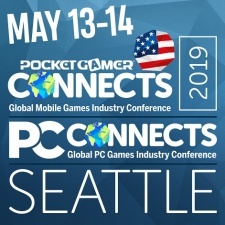 These are just the latest names to be added the PC Connects Seattle 2019 line-up, joining the likes of Epic Games, Take-Two's Private Division, former ESA boss Mike Gallagher, Valve vet Chet Faliszek, Bandai Namco and Super Evil Megacorp at the show. These are just some of the names that are going to be appearing at PC Connects Seattle 2019 on May 13th. There are four tracks planned for the show, each covering a different aspect of the PC games landscape. State of Play will give attendees an idea of what the PC games landscape looks like right now, while Digital Discovery will provide insight into getting your project noticed in an ever-saturated marketplace. The CodeShop is our design and development track, taking our guests behind the scenes on making games. Oh, and here are 20 reasons why you should be at the show. In case seeing the folks from Valve talking isn't enough.